Whether you’re an experienced skier, or a beginner trying the sport for the first time, you’ll need the right eyewear. Choosing ski goggles can be tricky – with so many lens options, styles and materials available, it’s easy to give up and just pick a pair that catches your eye. However, pick the wrong pair and the joy of skiing could become a real chore. One of the simplest problems you can encounter is that the goggles don’t fit. You need to make sure you pick the right shape. Plus, goggles should be made from soft, flexible materials, which adapt to the contours of your head. Also, pick the wrong lenses and you’ll have goggles which keep fogging up – transforming the snowy mountain landscape into a blur. And even if your lenses are clear, the mountain could still become a blur, if your lenses allow too much glare. To avoid these problems, take a look at these handy tips, which should help ensure that your goggles are the perfect fit for you. If you compare the kind of eyewear you’d need for skiing with the shades you’d wear sunbathing, you’ll notice a real difference in materials. Ski goggles are much more practical – designed to protect you from icy winds and snow – plus they’re engineered to stay glued to your face whilst you speed down the mountain. As a result, goggle frames are made from softer, more flexible materials such as nylon, rubber or propionate. These materials hold their shape well in freezing temperatures, and will help to protect your face when you inevitably hit the ground on your first go. • The thicker the strap the better – as this will provide a comfy fit and prevent the strap from digging in. • Try to opt for a style with soft buckles, which won’t become uncomfortable. • Look for a good quality foam insert – these keep out the cold and cushion your face in the event of a fall. However, if they are too thick, the insert can encourage the lens to fog. Polar fleece is one of the best materials for padding. • Opt for the most flexible frame material possible, as this helps to protect the lens and prevent the lens from popping out on impact. It’s really important that ski goggles fit perfectly. If they don’t, your skiing trip could be more than uncomfortable – a loose fit can cause your eyes to water, your goggles to steam up, or allow snow to get inside. • There should be no pressure points when you’re wearing the goggles – even if you’re also wearing a hat. • Opt for adjustable rubber ear and nose pieces and a buckle which allows the goggles to fit the shape of your head – basically, the more you can adjust the better! • The goggles should create a tight seal around your eyes. 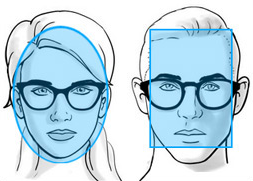 • If you wear glasses and want to wear them underneath your goggles, then you need to take this into consideration. Some goggles are designed to allow space for this. However you can get prescription inserts for a wide variety of goggles. The lenses are one of the most important parts of goggles – the lens that is right for you will illuminate the mountains, giving you clear vision without that irritating glare. Lenses are available in a whole rainbow of colours and there aren’t really any bad choices – it’s more about deciding which lenses are right for you. It all depends what the weather and terrain is like – you need to consider how dark or light the area is and how many obstacles such as trees and jumps are on the slopes. There are many factors to consider including colour definition, depth perception, contrast and protection against eye fatigue. A good way of judging which goggles are best for you is to look at Visual Light Transmission (VLT). A low number on this scale is best on sunny days, while a high number works best on gloomier days. This popular colour is a good ’middle-ground’ option, as it works best in medium light conditions. The colour is also known as a ’blue-blocker’, as it filters out blue light which makes the shadows in the snow stand out. This colour works in a similar way to amber but is better in lower light conditions. If you ski in snowy or overcast conditions, then this is a great choice, as the gold boosts the contrast levels. A pink or rose tinted lens enhances depth perception in flat light conditions. This colour is also great at night, because the artificial lighting which illuminates the slopes tends to create a ’flat’ effect and this colour can counter-act it. However, this colour is not a good all-rounder like amber because it offers little protection from bright sunshine. Light yellow works in a similar way to rose – enhancing depth perception in flat light. Where it differs though, is night skiing, as it does not provide good visibility at night. If you ski in very bright, sunny conditions, then grey or black would be the best choice for you. Popular with skiers in the western US, this dark tint filters out most of the harsh sunlight and glare from the bright white snow – a ski slope on a bright day is a very bright place! However, the only downside to this lens is that on darker days, it’s harder to perceive depth. If you’re looking for a lens which can cope with most weather conditions, then orange is a good choice. This tint woks well if you’re skiing in medium to bright conditions, reducing the glare when needed but increasing the contrast if it gets a little darker. If you love to ski at night, then clear lenses are your best option. The lack of colour allows for maximum light penetration – ensuring the artificially lit slopes are clear and bright. There’s a lot more to lenses than just their colour – the shape and type of lens can make a huge difference to your visibility. Flat lenses may be cheaper but other than the price, this design doesn’t have much to offer. The flat lens cuts down on your peripheral vision and focuses your eyes straight ahead – which can be great, or it can lead to you not seeing another skier just behind you. Also, this style of lens can catch sunlight, causing the occasional moment of glare. This style quite literally ’wraps’ around your face. The curving lens provides you with 180 degree vision, which helps you to avoid skiers and other obstacles. As well as that, the natural curve of the lens helps to avoid glare. 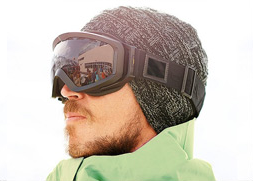 Single lens goggles are cheaper, but double lens goggles offer an enhanced performance. In the latter, the two lenses of polycarbonate create a sealed layer between you and the environment – with a thin space of air between the lenses offering warmth, and preventing the goggles from fogging up. 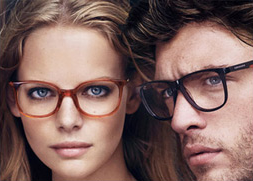 Aside from giving the wearer a stylish ’sci-fi’ look, mirrored lenses also serve a practical purpose. The reflective surface helps to block sunlight and reduce glare. However, this style does not work well in darker conditions, as the lens reflects light reducing your visibility. Bright white snow is a highly reflective surface, and on a sunny day a ski slope can become a beacon of light – making it very hard to see clearly. Polarised lenses help to combat this problem, as they are designed to filter reflective glare. Choosing a pair like this will not only ensure you’re not blinded on the first run down the mountain, but can avoid squint-induced headaches. And as an added bonus, they work well in low-light conditions too. On the downside, it can be tricky to distinguish ice from snow whilst wearing polarised goggles, which could be a problem. Plus, there’s the occasional problem of 'bounce-back' light from the snow. As one of the best lenses money can buy, photochromic lenses deliver excellent visibility in nearly all weather conditions. The lenses adjust to whatever light conditions you are in, offering optimal depth perception and clarity. 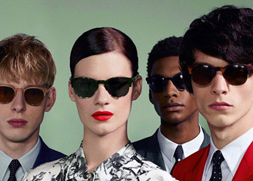 The lenses adjust to suit your surrounding in response to UV exposure. If the sun comes out, the lens will darken, and if the day becomes overcast, the lens will brighten again. Hopefully, this guide will help you to choose the right goggles this winter. With the right pair on, you'll glide down the mountain, enjoy the snowy scenery and stay safe. Remember to shop before you get to the mountain, as once on the resort the prices become extortionate. There are plenty of designer ski goggles available online, perfect for getting prepared before the big trip.